Natural selection and OCD | Name-Brand Ketchup. 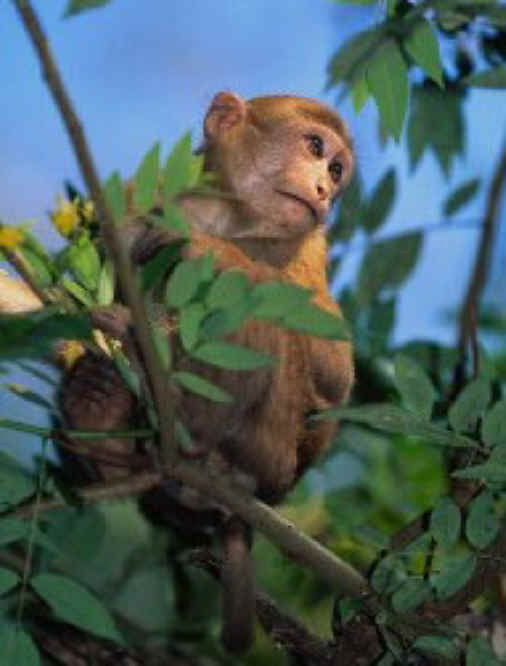 Eons ago, our ancestor monkeys lived in packs in the trees. Monkeys had a lot of natural enemies to worry about. Most of the big jungle cats — leopards, jaguars, and cougars — would catch and eat monkeys whenever they got a chance. Over time, some monkeys figured this out. Adaptations are structures or behaviors that allow efficient use of the environment. So it’s not hard to assume that at least a few monkeys in the pack adapted to be on the lookout for jaguars. Some may even have become preoccupied with this responsibility. The packs of monkeys who had at least one member who adapted to become watchful and vigilant for jaguar attacks? Survived, and propagated. The packs of monkeys who did not adapt? Jaguar chow. So it’s not a real stretch to say that OCD was an adaptation that allowed the species to propagate. The monkeys who swung merrily through the trees eating bananas were free to do so because other monkeys were preoccupied with them not becoming Yummy Jaguar Treats. Hey, you can disagree with me but you can’t disagree with science. As a longtime OCD sufferer, I find this hypothesis quite amusing even beyond the humorous satire. I can’t really add anything else other than it appears to be a rare confluence of the brilliant and the absurd. Hey there, Kitty! Why are you looking at me like that?